Change your Summoner Icon temporarily as explained below. In other words, if you have already played a Tournament or Challenge on Challengermode with your Summoner it will already be verified. When you connect a new Summoner you will be given the option to verify it. Alternatively, you can also verify it the first time you play in the Daily Ladder. 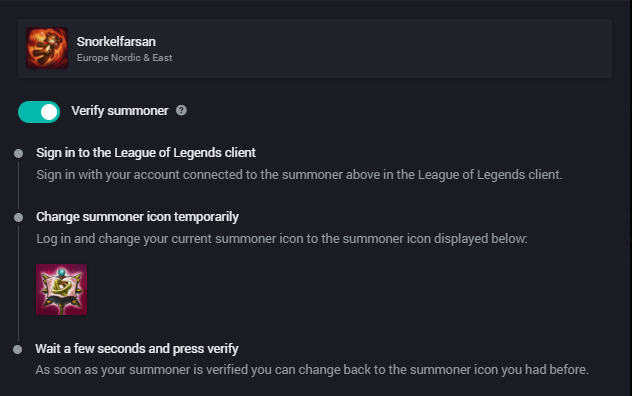 To verify your Summoner, you will need to temporarily change your Summoner Icon (the profile picture of your LoL Summoner) as explained below. Click on your Summoner Icon in the top right corner of the LoL client. Change the icon to the one shown on Challengermode (example above). You can now go back to Challengermode and click "verify", after which the system will detect the changed icon and verify that you are the owner of the League of Legends account. 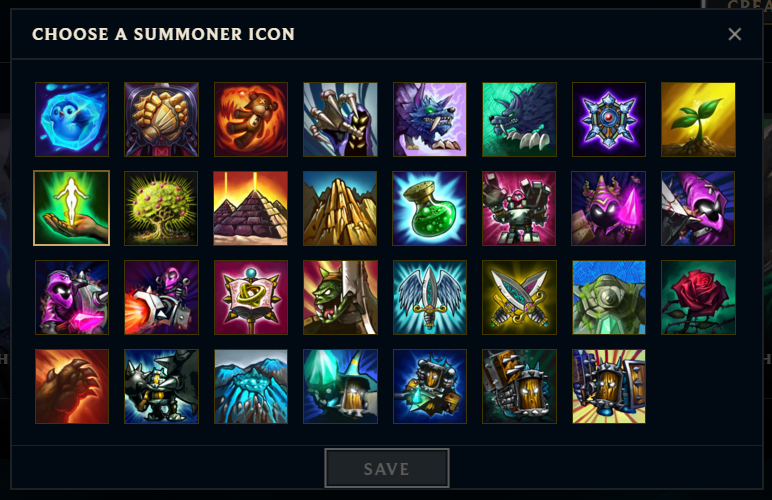 You can change back to the old Summoner Icon you used before, should you want to do so (it wont remove the verification). How do I know my Summoner is verified? A checkmark will be displayed next to the verified Summoner.